setting up the actual machine.
' "6. A simple example of the Method of Finite Differences"
'     "6. 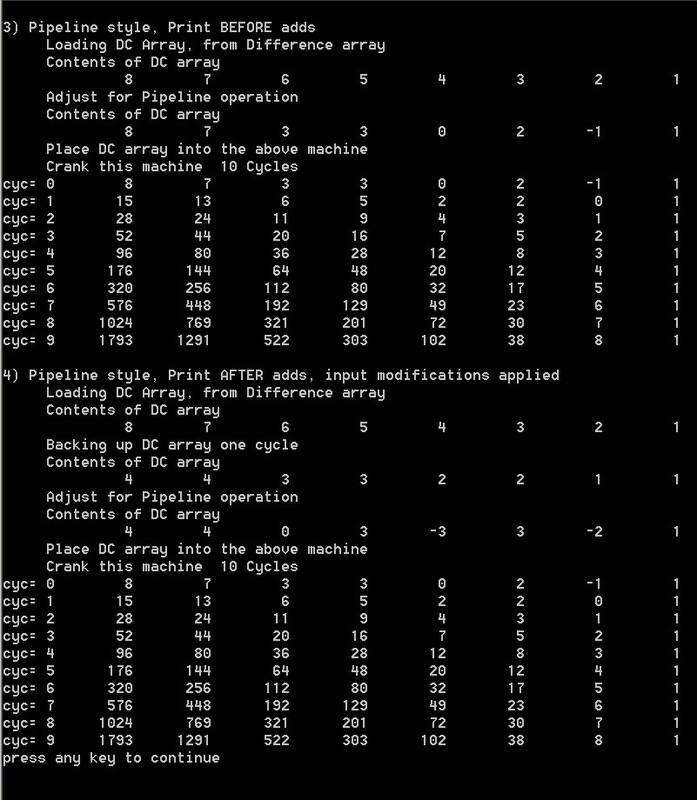 A simple example of the Method of Finite Differences"
'     the Babbage "pipeline" operation. 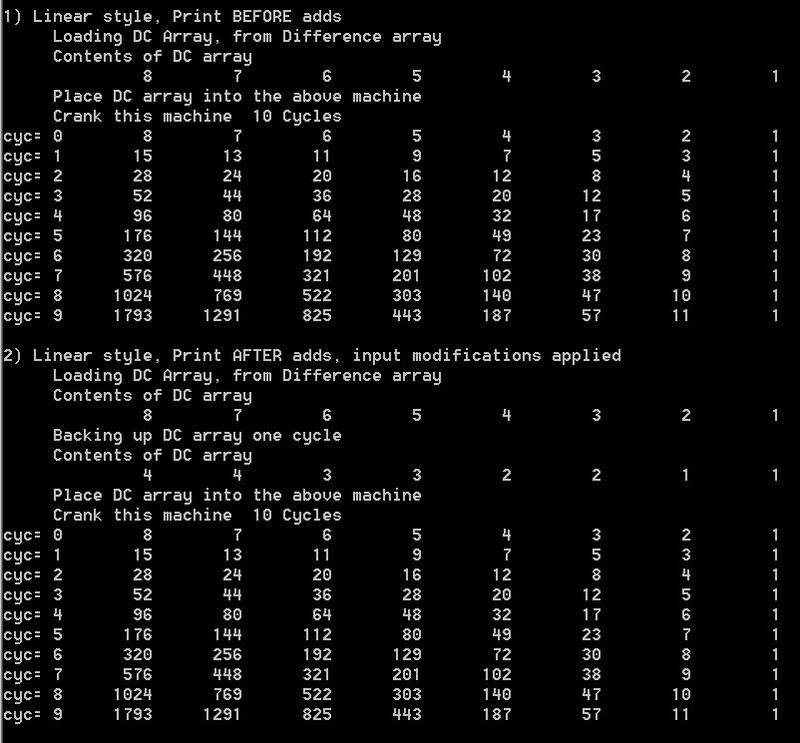 PRINT "1) Linear style, Print BEFORE adds"
PRINT "     Place DC array into the above machine"
Print "     Crank this machine ";CycLim;" Cycles "
PRINT "2) Linear style, Print AFTER adds, input modifications applied"
PRINT "3) Pipeline style, Print BEFORE adds"
PRINT "4) Pipeline style, Print AFTER adds, input modifications applied"
PRINT "     Contents of DC array"
PRINT "     Backing up DC array one cycle"
PRINT "     Adjust for Pipeline operation"
Print "press any key to continue "